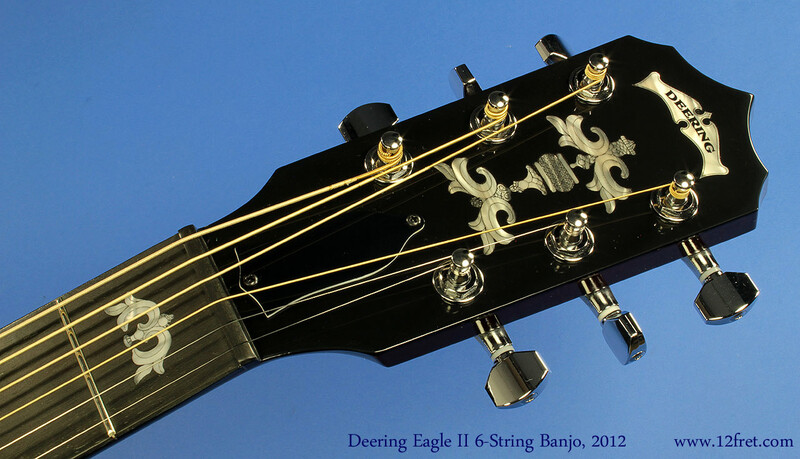 Comments The Deering Eagle II 6-String Banjo is a unique addition to the world of 6-string banjos! The new Deering Eagle tone ring (often called the 2010 ring), is the warmest and roundest sounding of the Deering family of rings. 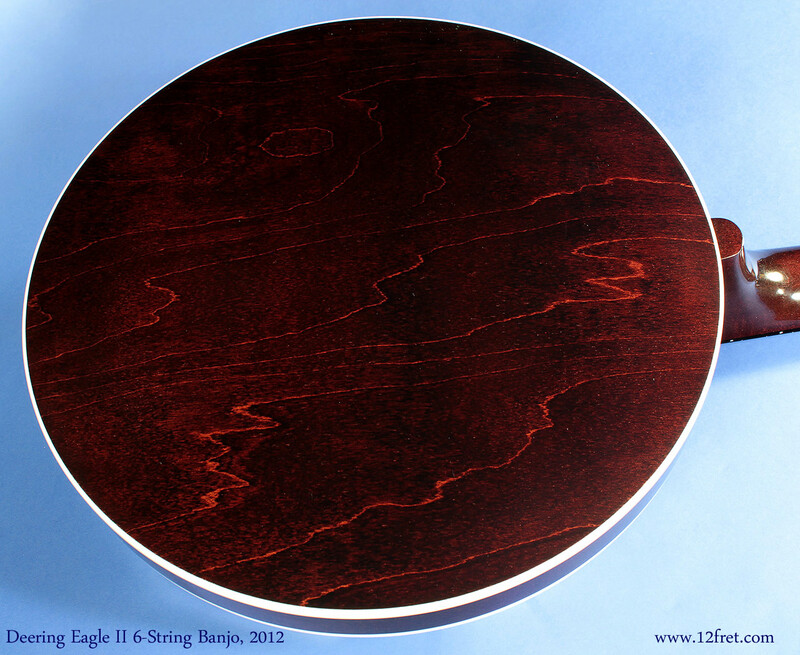 This new design brass ring combined with the Eagle plate-style flange and heavy red maple rim gives a lovely air-like sweetness to the trebles but still provides that classic Deering sustain and power. 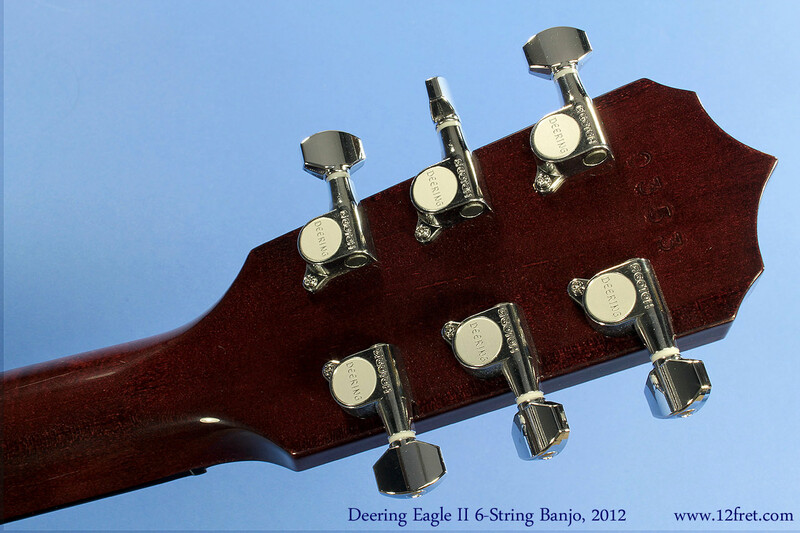 The warm tone of the Eagle makes it particularly suitable for 6 string banjos which can often exhibit harsh overtones. 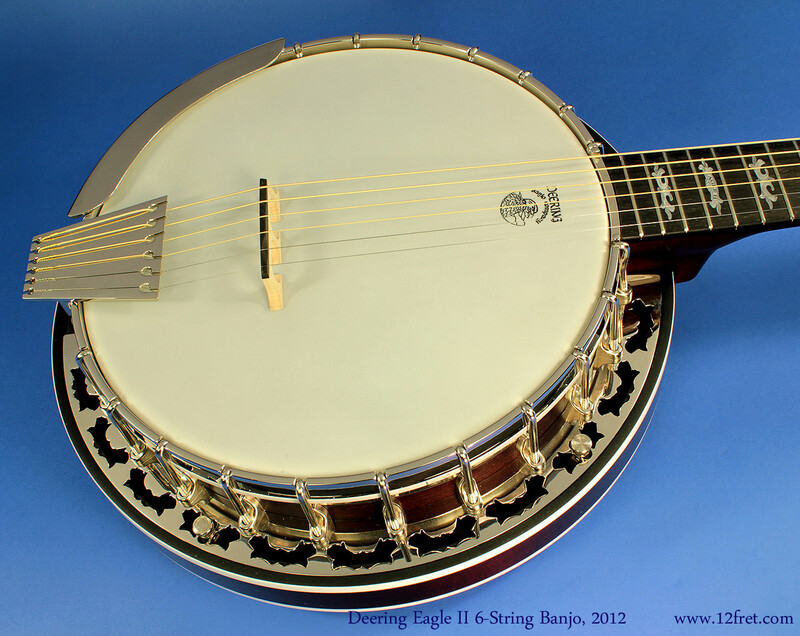 In my opinion, installing a 6 string neck on the Eagle pot has created possibly THE BEST 6 string banjo one can hear, anywhere, at any price. Pricing PRICING: $2739 Canadian dollars, or $2157 US dollars, based on 1.27% exchange rate. Neck Maple neck with unbound ebony fingerboard. 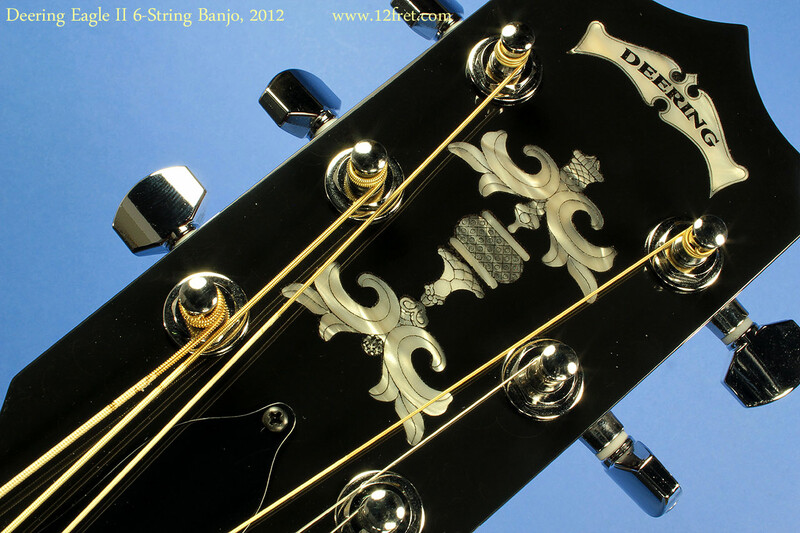 Engraved mother of pearl position markers, headstock inlay and Deering banner. 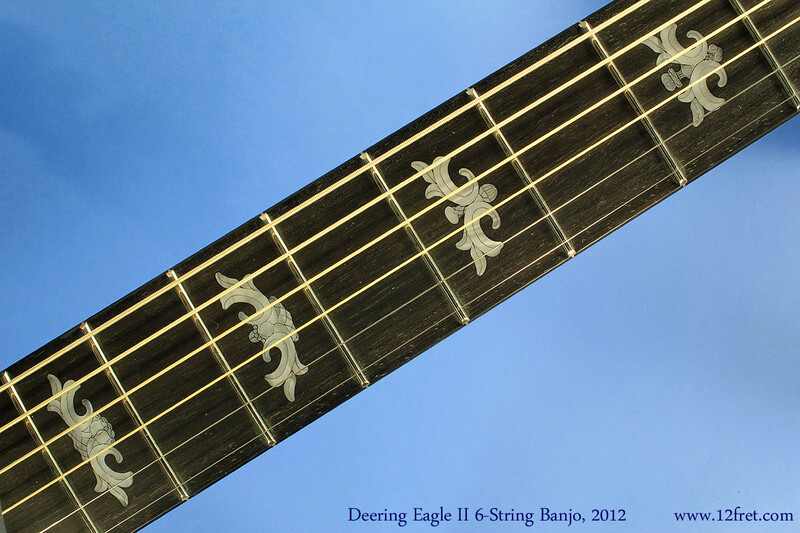 Body Maple rim with Deering 2010 Tone Ring, Deering Eagle II hardware with 6-string tailpiece and bridge. Playability / Action Plays like a cross between a banjo and a guitar! The feel is more percussive than a guitar, due to the head. We will of course set the instrument up to the player’s requirements. Case Deering hardshell case included.